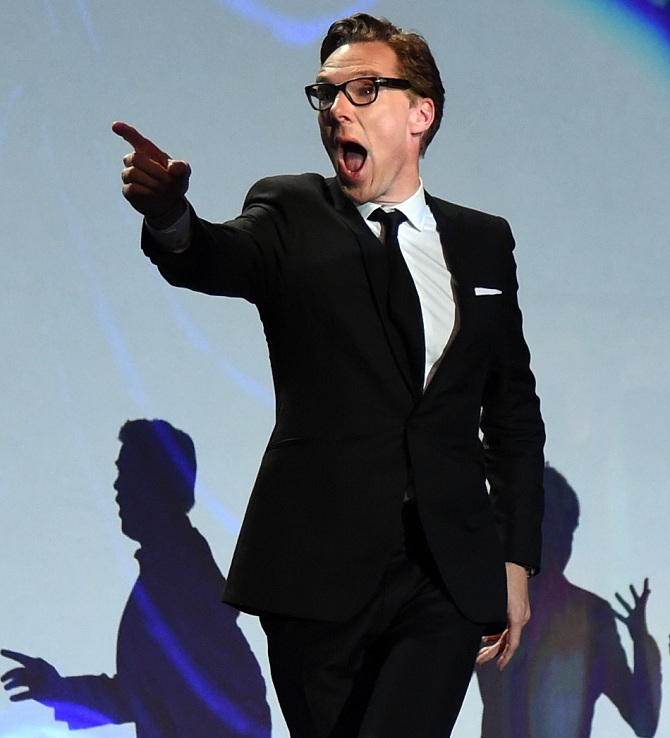 Rediff.com » Movies » Benedict Cumberbatch: Sherlock to Shere Khan! Benedict Cumberbatch: Sherlock to Shere Khan! The latest Jungle Book film promises Sherlock fans a surprise. IMAGE: 'What's brilliant about his performance is he's not just a black-and-white villain,' The Jungle Book director says about Benedict Cumberbatch's Shere Khan. Andy Serkis, the latest filmmaker to be captivated by Rudyard Kipling's The Jungle Book, can't get over Benedict Cumberbatch's Shere Khan. The Sherlock star, Serkis told the media, is 'phenomenal' in the movie. 'It's amazing... He's really scary. It's a grounded, full-of-rage, brilliant performance,' several media houses, including the Daily Mail, quoted the director as saying. The Jungle Book marks Serkis' debut as a director; he also features in the movie as Baloo, the bear. This is not the first time that Serkis and Cumberbatch will star together. The two have previously worked with each other in The Hobbit: The Desolation of Smaug -- Serkis as Gollum and Cumberbatch as dragon Smaug. Serkis' The Jungle Book cast also includes Batman star Christian Bale as the panther Bagheera, Cate Blanchett as the python Kaa and Peter Mullan as the wolf pack leader Akela. The cast is also tipped to include Freida Pinto as Raksha, Mowgli's adoptive mother. The score for the film is being composed by British-Indian musician Nitin Sawhney. 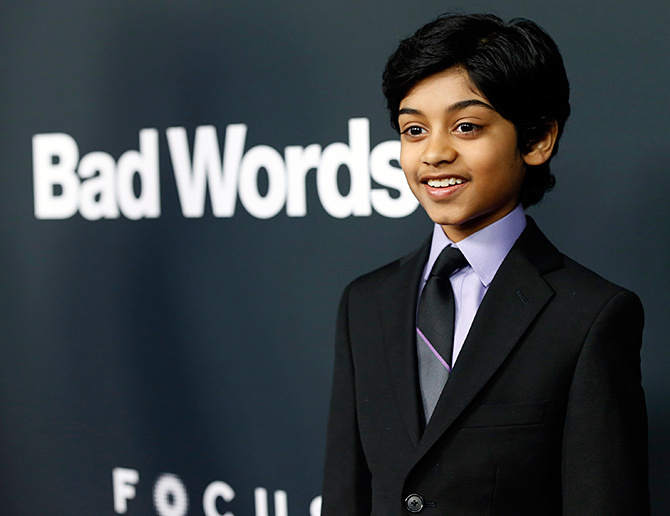 Rohan Chand, born to Indian parents in New York City, was only 6 when he was spotted and cast in Jack and Jill (2011) as Adam Sandler's adopted son. He has since appeared in the telly series Homeland and multiple films, including Lone Survivor and The Hundred Foot Journey. Serkis' The Jungle Book, which is slated to release in 2018, is the latest in a long line of screen adaptations of the famous book. And it has a tough legacy to live up to, especially with Jon Favreau's 2016 masterpiece starring Neel Sethi as Mowgli still fresh in our minds. That film featured Bill Murray as Baloo, Ben Kingsley as Bagheera, Lupita Nyong'o as Raksha, Scarlett Johansson as Kaa and Christopher Walken as King Louise. Interestingly, the Shere Khan of Favreau's The Jungle Book was also a British actor, Idris Elba. Oh, to catch a tiger, by its tale!